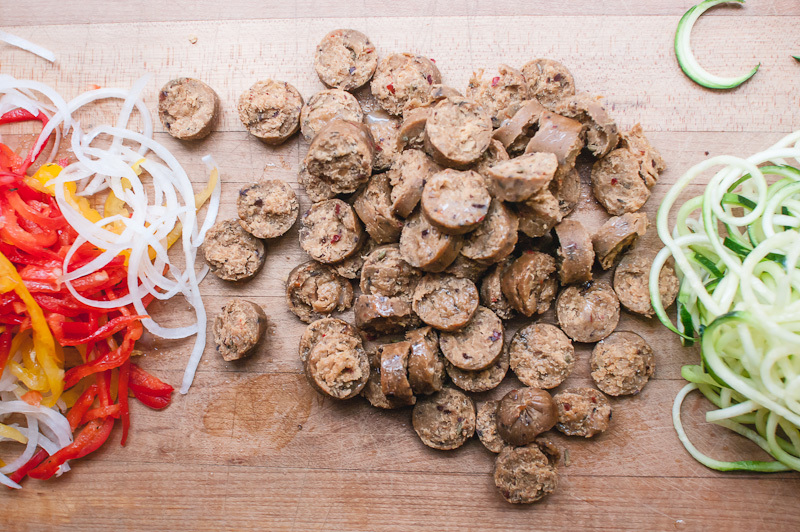 Quick, easy and entirely plant-based. 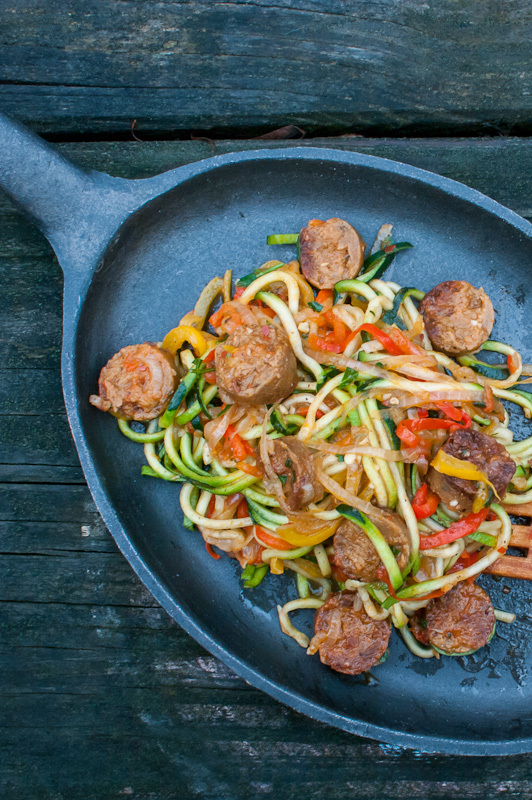 The Stallion mingles with peppers, onions, fancy schmancy zucchini noodles and a simple garlic & tomato sauce. 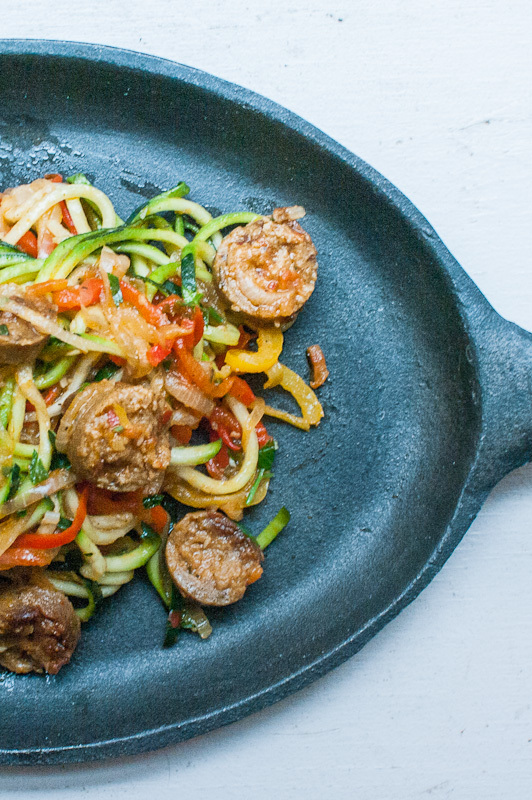 Popping with flavor, turbo packed with nutrients and pumped full of protein, this is the perfect weeknight meal. Heat 2 tablespoons of olive oil in a large skillet with a lid over medium-high heat. When the oil is shimmering, add the sausages and cover the pan. Cook for about 3 minutes or until just browned on the bottom. Uncover and cook for 2 minutes more, turning, until browned. 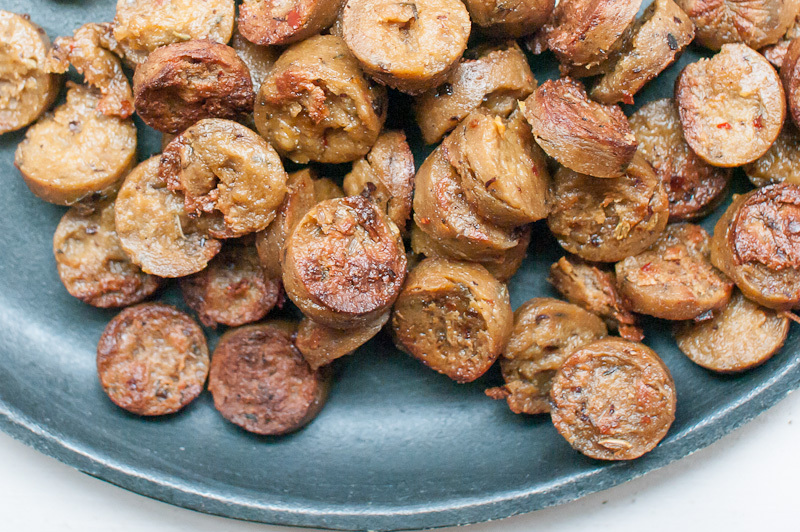 Using tongs, transfer the sausage to a cutting board and set aside. 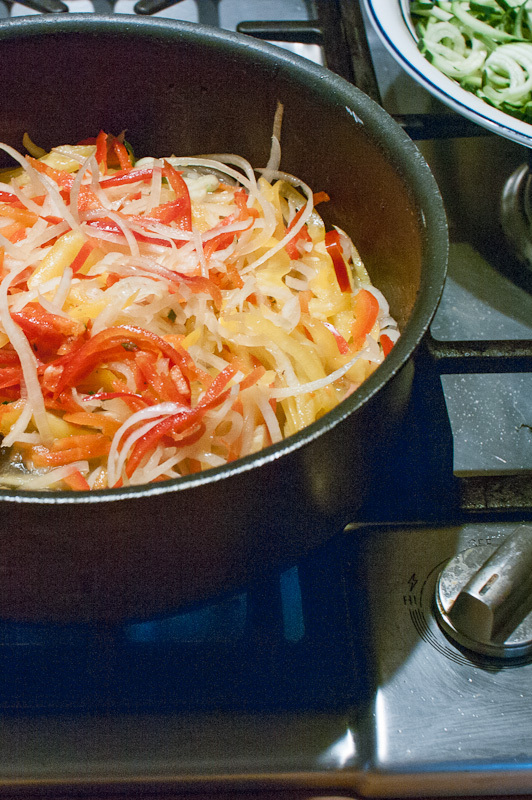 Immediately add the remaining 3 tablespoons olive oil, the onion noodles, and the bell pepper noodles to the same skillet. Cook for about 5 minutes or until the vegetables soften. Add the tomato paste, and stir to cook the vegetables. Add the red pepper flakes and garlic and cook for 30 seconds or until fragrant. Return the sausage to the pan and add the oregano and broth. Season with salt and black pepper. 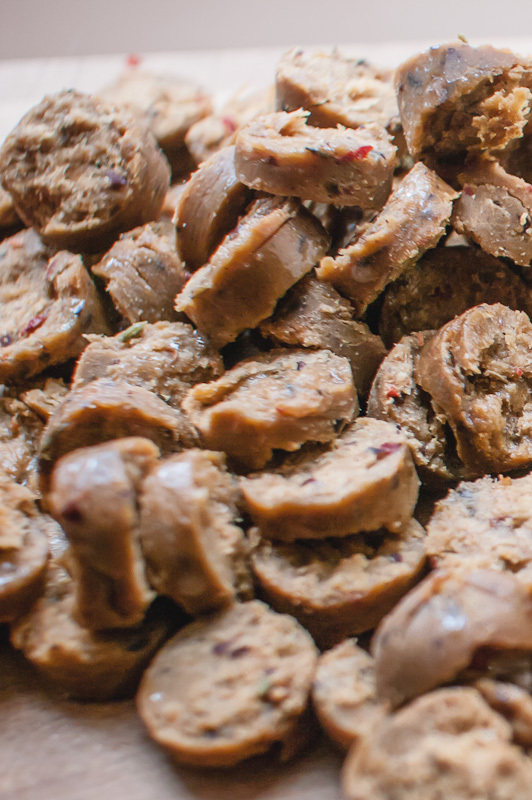 Cover the skillet and simmer until the sausage is cooked through, about 10 minutes. Uncover and simmer until the sauce has reduced by a quarter, about 5 minutes more. Stir in the parsley. 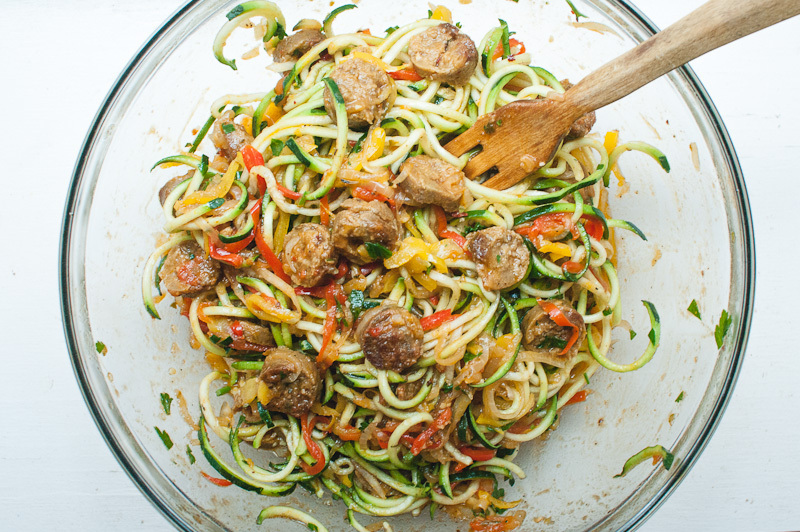 Transfer to a large serving platter or bowl and add the zucchini noodles. 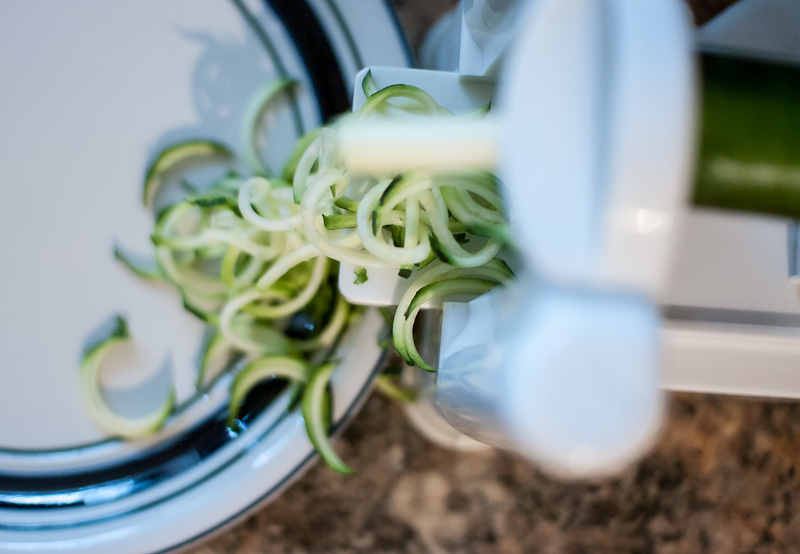 Toss thoroughly until the noodles begin to wilt and are fully incorporated. Serve immediately.